The Scrap Trident demonstration will take place in George Square Glasgow on Saturday 13 April. Please note that these times are earlier than originally circulated. 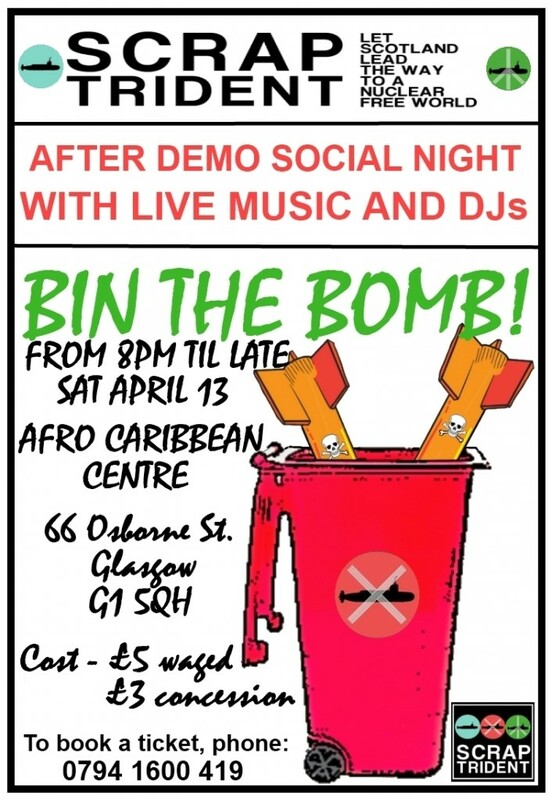 This is part of a weekend of Scrap Trident actions. There will be workshops in Glasgow on Sunday 14 April and a blockade of Faslane on the morning of Monday 15 April. Help publicise the Scrap Trident events by forwarding this information to your friends&family/ community groups/ trade union. just along from the 13 Note. It starts at 8pm and goes on 'til late.